During the 1980’s, George was asked by various institutions to study various social and political questions from a cognitive linguistics perspective. In late 1990, jut before the start of the Gulf War, he wrote “Metaphor and War,” analyzing the metaphors of both George H.W. Bush and Saddam Hussein, revealing a metaphor conflict that ruled out any compromise. He also showed how Bush used a metaphor switch in October 1990 to convince the country to go to war in the Gulf, and outlined the metaphorical narrative under which the war was to be conducted. The paper, which could not be published in the normal media, became the first paper on politics to encircle the globe via the internet. After conservative Republicans took over Congress in 1994, George realized that the liberal/conservative split in the US was due to inconsistent worldviews, but was not generally understood. He realized that this was a problem for cognitive science, and set about studying it using what had been learned from cognitive linguistics, neuroscience, and the NTL neural computation research. In 1996, he published Moral Politics, which demonstrated that the worldview difference arose from the application of the widespread Nation-as-Family metaphor to two different idealized views of the family — a strict father family for conservatism and a nurturant parent family for liberalism. The basic result was that, from the family-based moral worldviews, one could predict with considerable accuracy not only which policies conservatives and liberals would tend to support, what language would be used, but also what the logic is of apparently “irrational” positions, such as how conservatives could be pro-life and for the death penalty. Moral Politics was widely read, and led in 1997 to the formation of a small think tank, the Rockridge Institute, in which George joined with seven University of California colleagues in the social sciences. 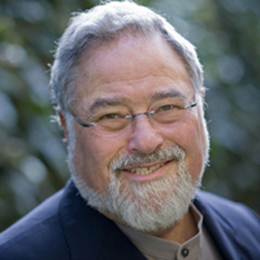 Between 1996 and 2000, George began popularizing the application of morally-based conceptual frames in politics, analyzing why conservatives were outdoing liberals and how they might do better at communicating their moral views and positions on issues. “Framing” meant the using of frame semantics in everyday thought, with the associated language. George proposed using that knowledge to effectively present one’s moral beliefs and their consequences for policy. This has been consistently misunderstood by political figures as PR, just using more effective language to win elections. In 2002, George published a second edition of Moral Politics, critiquing the Gore campaign of 2000 and analyzing Bush’s success. That edition was used as a guide by Howard Dean in his 2004 campaign for the presidential nomination. Dean publicized the book, which led to George being asked to speak to two Senate Democrats’ retreats, two House retreats, and caucuses of both Senate and House Democrats. It also led to grants for the Rockridge Institute, which put out a large number of framing studies between 2003 and 2008. During that period, George wrote four books on politics: Don’t Think of an Elephant! (2004), Whose Freedom? (2006). Thinking Points (with the Rockridge staff, 2006), and The Political Mind (2008). Those books fleshed out in detail the analysis done in Moral Politics, adding crucial details. Don’t Think of an Elephant! applied frame semantics to explain in simple terms how framing worked. Thinking Points focused on “bi-conceptualism” — the discovery that there is no ideology of the “middle,” the “center,” or independents, but rather that many people have both conservative and liberal moral systems applied to different issues. It also explained that elections are not just matters of who has the better policies, but instead focused on values, communication, authenticity, trust, and identity. Where the other books backgrounded the use of cognitive science and neuroscience, The Political Mind brought it front and center, explaining in readable scientific terms why Enlightenment Reason and the Rational Actor model got in the way of liberalism, and why conservative and progressive moral systems are likely to keep arising throughout history because of the way the neural system gives rise to certain metaphors and not others. The Political Mind also takes up the study of narrative structures, their emotional aspects, and how they are used metaphorically. The Rockridge Institute closed in 2008, having done studies on the framing of a large range of issues, mostly in the years between 2002 and 2008.